Goodbye Chanel's FOREVA may just have been one of my favourite discoveries yet. Although a few months premature of the warm weather we're currently basking in its sun-kissed vibe more than made up for it, and if anything, brought forward our Spring by a good few months. Now the Leeds based five-piece return with a full stream to their new EP 'Hot City Nights' as they continue in excellent form. With plenty more incandescent sunshine coursing through their veins the collective's second outing serves to be another feel-good blast of warm, Hawaiian twinged Pop as choruses soar and guitars jangle away in a shimmering cocktail of love. Following it's opener the band incorporate a whole new lofty air in to their ambitious drive as Tantra opens up in the most wonderful of ways. That's not before bringing you cascading back to earth on the twinkling guitars and reverberated vocal cries of Youth. As they move in to quite possibly their most brooding effort yet, Hollow Me floats a new groove to the surface as the pace slows to allow its equatorial rhythms to break the swelling ocean of scintillating energy. 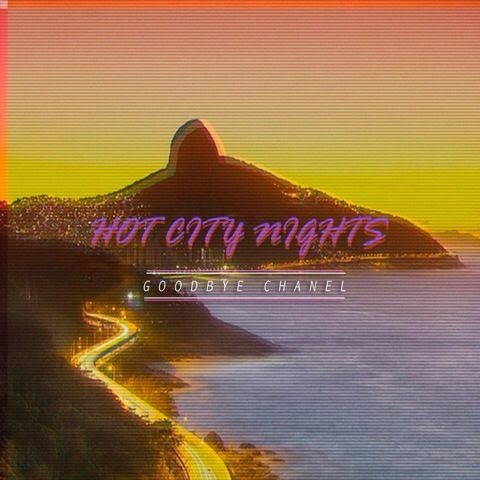 A lot of bands seems to be engrossed within this Lo-Fi Surf-Pop scene but few manage to hit with such the force as Goodbye Chanel do. As the fivesome come to round up with the EP's title track, Hot City Nights, the band leave us with a more delicate offering as softly plucked guitars lead in to an enthralling percussive number; Each of it's consecutive breaks adding further twists and turns to its already personable nature. Reach for that flower adorned shirt. Pour that cocktail. 'cause ya know, everything's gonna be A-OK when Goodbye Chanel have your back. Here's your summer soundtrack sorted! The EP will be available from 21 April 2014 via Dead Young Records. You can Pre-Order it here.